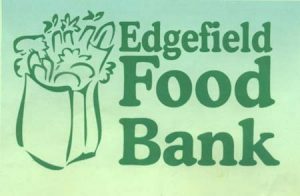 The Edgefield Food Bank is having a fundraiser for the purpose of filling their shelves with food for the hungry. The event will be a part of Peachtree 23, this Saturday, June 7, at the Piedmont Tech Parking Lot. Look for the Food Bank sign (much like the image here) and their tents where they will be selling hot dogs and drinks. For every one who makes a donation to the cause, that person will get a cupcake, on view at the same location. Everyone is welcome.